Police in Brussels say incident is 'under control,' but unclear whether the man was indeed carrying explosives. 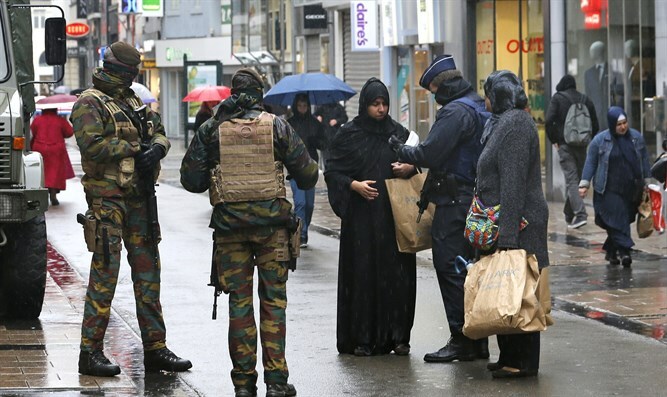 Belgian police have surrounded a man seen behaving suspiciously and wearing "a long coat with protruding wires" in Brussels, according to Belgian media. Authorities closed several streets and evacuated establishments around Place de la Monnaie, where the man is currently located. Bomb disposal units are at the site, and police say the incident is "under control", but the suspect hasn't been detained yet and there is no confirmation as to whether he is in fact carrying an explosive device as feared. It comes just a day before Belgium's National Day and shortly after the deadly terror attack in Paris on Bastille Day, and security has been heightened around the country.